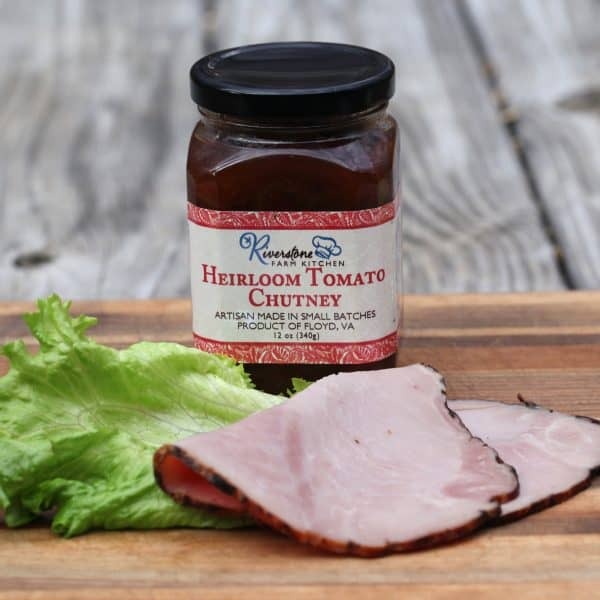 The tomatoes we grow at Riverstone are heirloom favorites. We use a mix of these along with apples, dried fruit and malt vinegar to create a tangy chutney. The addition of dried tomatoes deepens the flavor. This preserve works well with meat, fish and cheeses.